The kingdom of animals is fascinating. The interaction, survival, and beauty of animals is worth understanding and studying. Not that we're biased or anything, but we think ducks are the best animals ever. 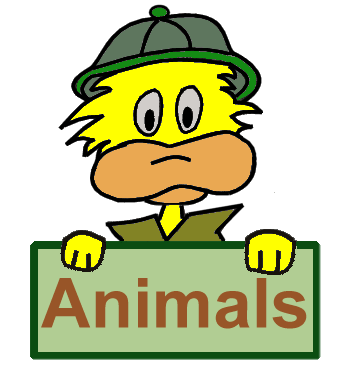 Check out your favorite animal or type of animal below to learn more about them. We also have lots of fun facts about animals, so enjoy, and we hope you learn something about animals along the way. ** Note: Some larger groups such as penguins and butterflies have species that are endangered, but the entire group is not marked. There may be nothing more beautiful than to observe animals in their natural habitat. 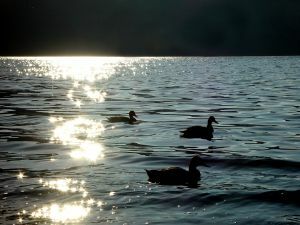 Here is a picture of our favorite animal (the amazing duck!) in it's natural habitat hanging out on the water. If you love animals, you might also like to check out our list of animal movies for kids.